My youngest daughter has wanted an email for a while now, the problem was she couldn't read very well (she is still learning). Also the regular email sites were so busy with so many ads, folders and other nonessential things for a six year old. All she needed was a basic email without all the bells and whistles. So when I received an email from KidsEmail.org I was thinking it would be too complicated for my Bella, but I gave it a try anyways. I am so happy I tried this email because Bella is in love with her own email!! Of course she doesn't have a whole bunch of emails coming in, but she still likes to check it often. The best part is she can click through it herself. There is nothing confusing for her so she can read and then reply on her own. I like that I can monitor all emails that come in and go out. There are still folders but only the basics, inbox and outbox. She can also change the background to one of 18 to choose from. 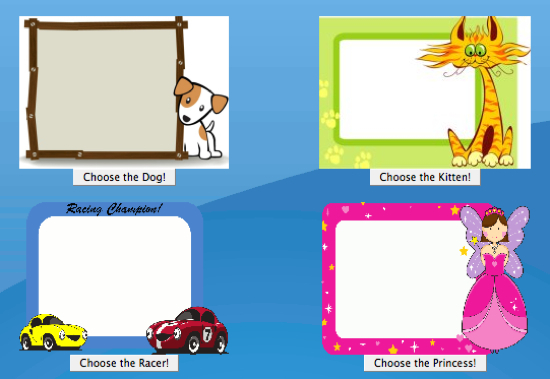 Bella kept the Princess theme that was already on the page when she signed in. I really like that the parental controls. You can put a time restriction, change their password & display name, look through activity logs, and if you would like you can ground your child. The grounding would be nice to have for all my kids emails! You can block them for any amount of time up to the date of your choice. I could go on and on about all the security that you can do, one feature that I really, really like is some of the filters. You can literally have bad words filtered, music, zip files, videos, images and pictures. And if you are still not satisfied then every email they receive & send can be sent to your email as well! So as far as KidsEmail.org I give it two thumbs up!!! And so does my Bella! 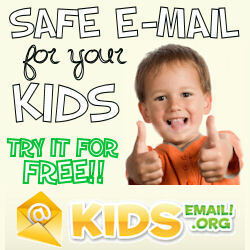 You can also "like" Kids Email on Facebook or "follow" them on Twitter. *Disclosure: Please note that I received product in order to conduct a review. All opinions in this post are 100% my own.